The rules are fun and very simple: the game shows words with missing letters. Letters can be dragged to the empty positions to complete the words. The goal is to find the correct words and proceed to the next level. 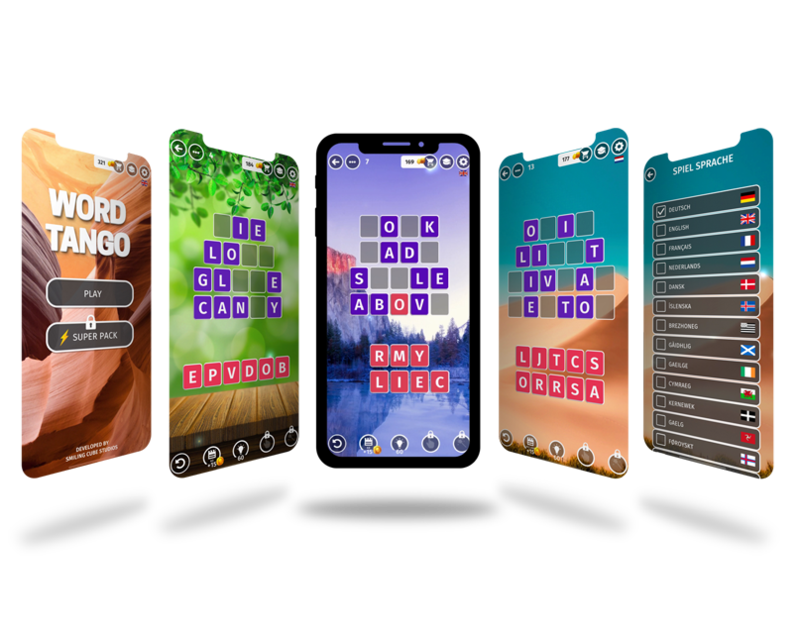 Word Tango is played without time-limit and is relaxing to play. It has an infinite number of levels, randomly generated for the player. The Player can earn extra coins and use a hint when he is stuck.